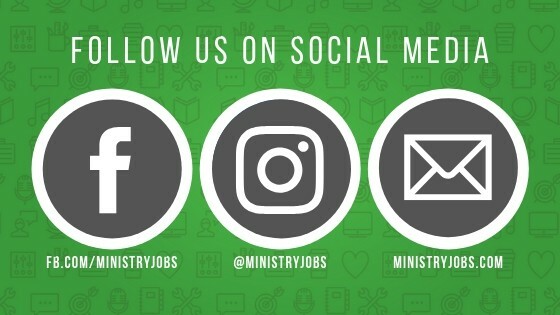 Are you already following MinistryJobs on social media? Keep up to date with all the news, job listings, tips and encouragement by following us on social media. We’d like to think there are lots of terrific reasons to follow us, but here are four good reasons to hop on board! We are actively sharing new jobs on our social media channels. By following us, you will be the first to know of any new positions! You can get valuable tips and a ton of encouragement on our social channels. We post daily inspirational to help you get thru the day. You may be the only staff person doing what you’re doing at your church or organization, but you’re definitely not alone in your journey. 3. Ask, comment or praise – effortlessly! Social media is a wonderful channel for communication! We are truly thankful for any kind of feedback or suggestions. Don’t hesitate to join the conversation! Comment on posts…share a story…say a prayer – we’re a community, we’d love to have you! Our social media channels also allow you to read about other users’ experiences within ministry. Exploring other people’s stories and comments gives you ideas and motivation for your own ministry! Connect with MinistryJobs social media community now! Choose the channel you are interested in below, click the link and join us. Welcome!